The Colorado Traveling Ducks and their humans wish you all a very Happy Thanksgiving. We, in the United States of America, have so much to be thankful for. We give thanks for our freedom, our way of life, and our friends and family. We also give thanks for these beautiful Colorado sunsets. 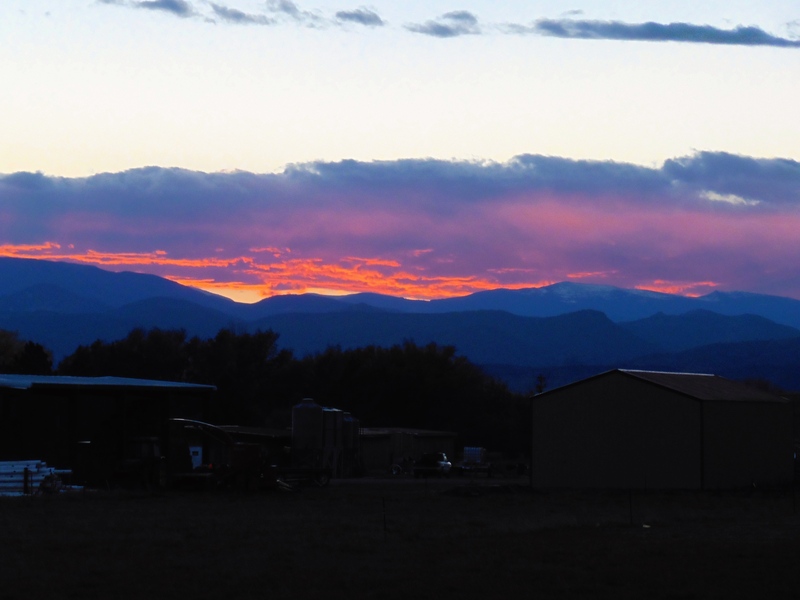 This entry was posted in Colorado, Holidays, Uncategorized and tagged Colorado sunsets, Colorado Traveling Ducks, freedom, friends and family, Thanksgiving. Bookmark the permalink.